For Yarn Along this week, I started a new knitting project. For myself. In late September. (As if I don't have a million knitting/sewing projects on my list to finish before birthdays and Christmas over the next 3 months.) I've had this Suri Alpaca yarn in Earth from Blue Sky Alpaca just sitting in my stash since January waiting for the perfect project. The Claymore Vest is the project I finally decided on, a vest that could go casual or a little more smart depending on how it's paired. I really want to finish it quickly and hopefully get some use out of it this fall. 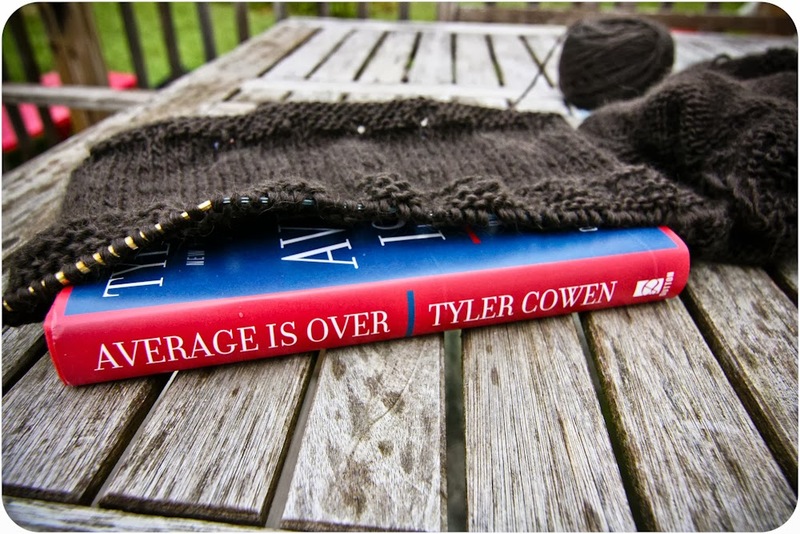 I also just started reading Average is Over by Tyler Cowen. Paul bought it for me recently. It's a relatively depressing read, but I think the author's perspective on the state and direction of the American workforce is worth considering. I also finally finished Finn's Christmas vest. 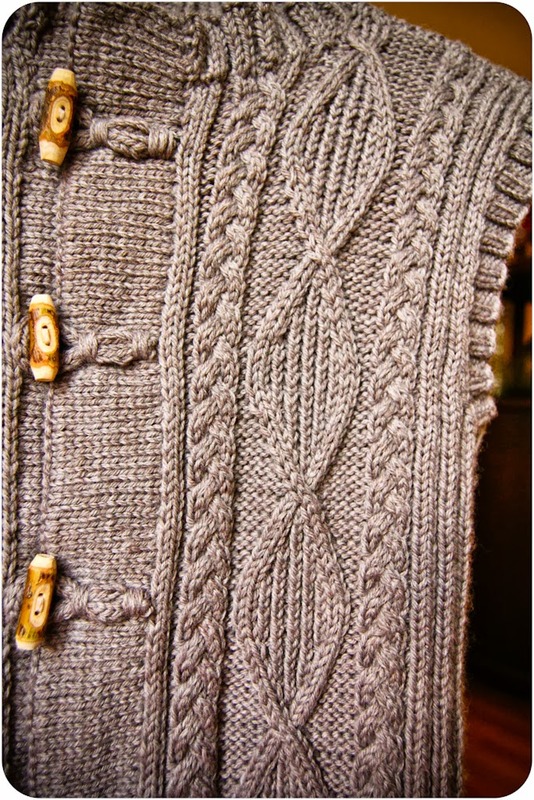 The Seal Island vest is one of my favorite knits that I've worked on recently. 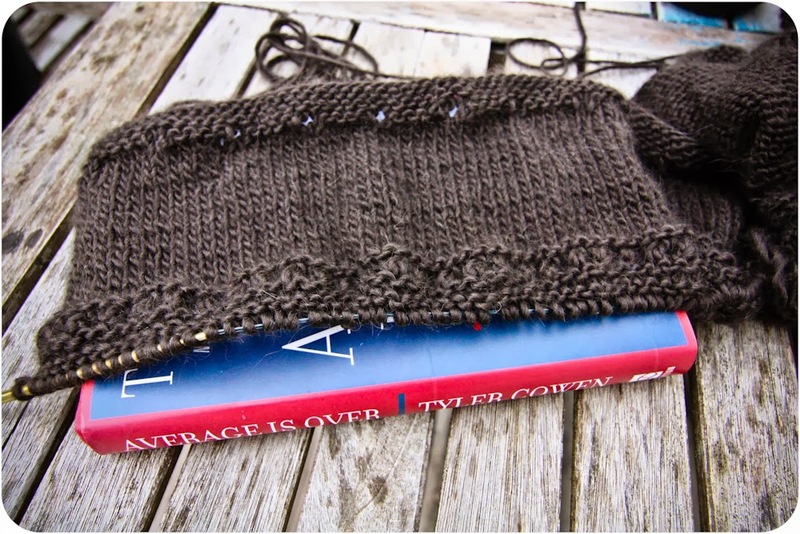 The cables were fun without requiring a pattern at all times. The vest required blocking to flatten the ribbing in the back and make the front panels line up correctly before the cute little sassafras toggle buttons, which I found on etsy, and loops could be added. The blocking, of course, took forever, which is why it took me so long to post final photos. I love it though and I really hope he'll wear it some this winter and spring. The size is plenty big to last him for at least a couple of years. 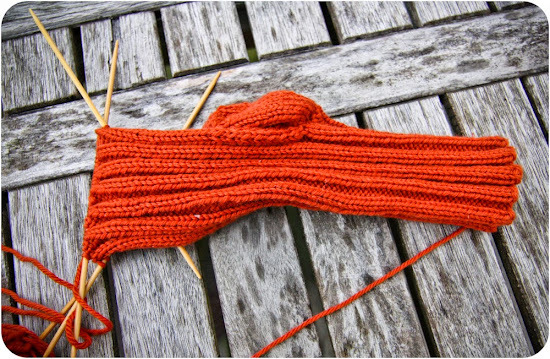 I also just recently started a pair of thick orange socks for Finn, probably as a Halloween fairy gift. He loves his handmade cozy socks! 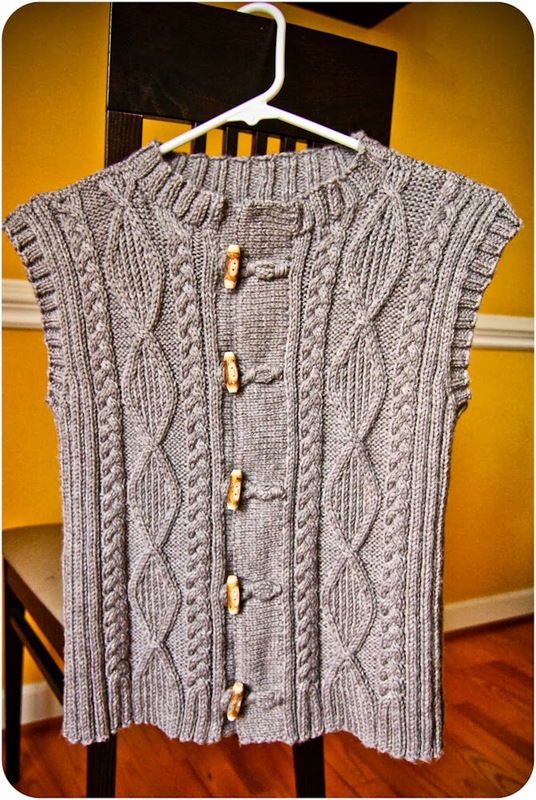 A really beautiful vest! 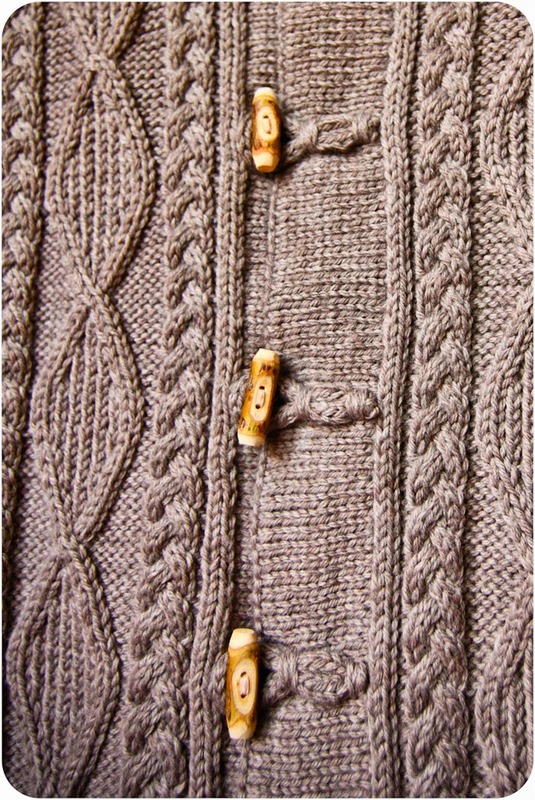 I love the cables and the wooden buttons! Wow I love the vest! (Both of them actually!) Finn's is so handsome!! He'll look stunning in it! Yarn, pattern, buttons all came together as a beautiful garment! Well done! Great bright color for socks, easy to find when they get separated!! Oooh, I love that vest. I'm looking for a pattern to make for my mom. This one might be too ambitious for a novice knitter though. Great vest! Perfect yarn color for it. love the vest - but not sure any of my 'grand' boys would wear it!